At the bottom of this poster are my suggestions to optimize technohealth while working with digital devices. Stand or walk during meetings or when talking on the phone. Turn off LED, TV or computer screens an hour before bedtime to promote restful sleep. 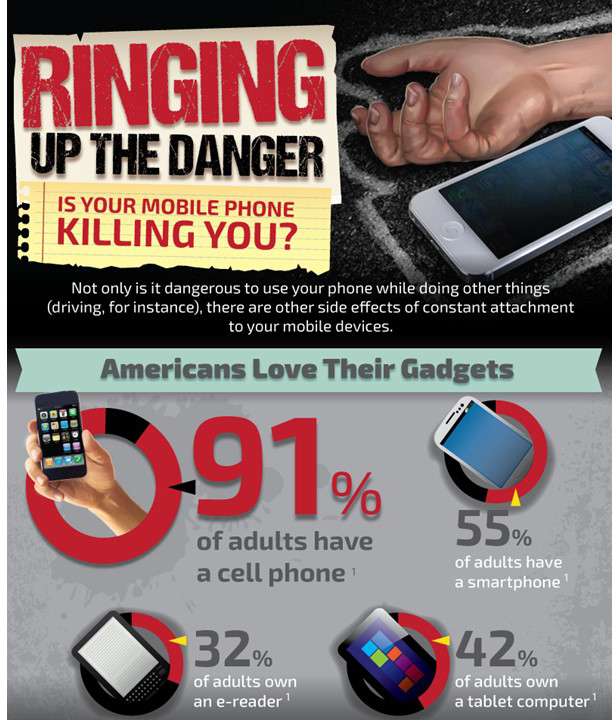 Keep your phone, tablet or laptop in your purse, backpack or attaché case. Do not keep it on or close to your body. Use the speaker phone or plug in earphones with microphone while talking. 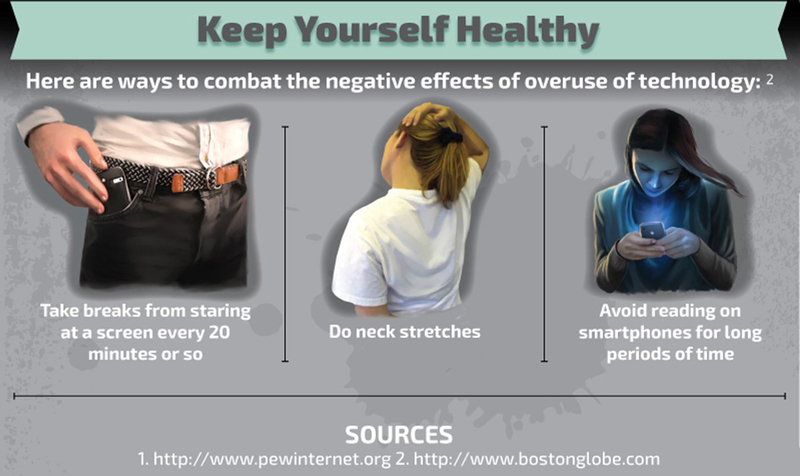 Do not hold it against the side of your head, close to your breast or on your lap. Text while the phone or tablet is on a book or on a table away from your body.